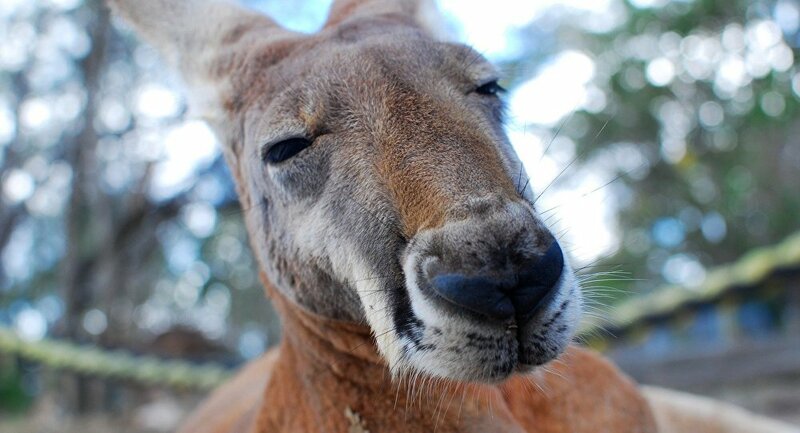 This male red kangaroo named Rufus lives in the Pumpkins Patch Kangaroo Sanctuary, Australia. Although the furry little critter is quite happy being outside during the daytime, he still prefers comfort and therefore has his own spot on the couch, which (he thinks) he owns. In this video, posted on YouTube, you can see how Rufus just can't fight his sleepiness and slowly begins to slide off the couch where he's sweetly resting inside a sanctuary building. As the disclaimer under the footage says, Rufus is a kangaroo with "a very different personality, with lots of character". We might add that he also has a penchant for comfort.